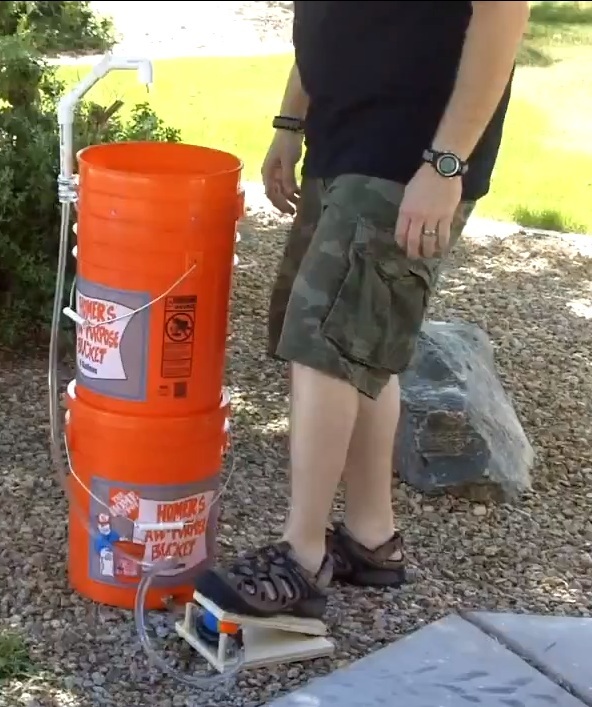 If like me you’ve ever wished that all that precious water didn’t just escape down the drain, you could try replacing your plumbing with a 5 gallon bucket! 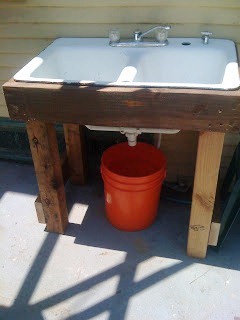 This outdoor sink is made with some scrap wood and an old enamel kitchen sink and faucet. Once the bucket is full, it’s splashed onto the garden, the lawn, into the radiator, wherever it’s needed. By the way, 5 gallons in a lot of water. It’s exactly enough to take a thorough shower. I’ve seen this same 5 gallon bucket drainage system done inside, in one of those tiny houses on wheels. We use a sink similar to this to process chickens. The faucet actually attaches to a hose using a snap-in fitting. That way the hose need only be taken up the few times a year we need to use the sink. 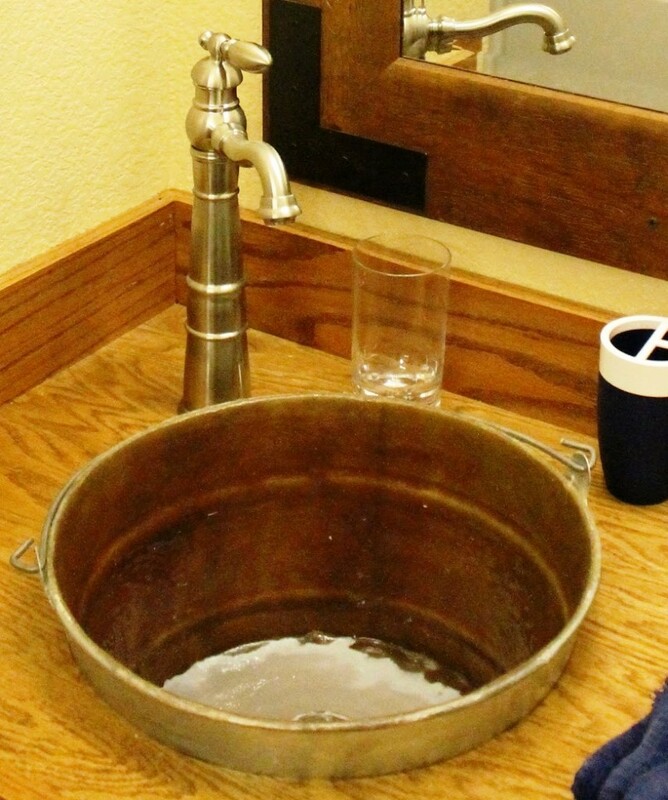 The next sink I’ll show you is this full feautured camping sink from 2 Brothers Adventures. One on top of the other, he’s got his sink, water reservoir, grey water reservoir and pump system all snugly contained in a series of buckets. And lucky for you, his entire process is outlined in detail in video form. So I’ll let the inventor himself take it from here. Yes it can be done! Although it’s best to leave the utilitarian plastic bucket sinks outside. Best of all, there’s no need to hook drainage up to this sink if you’re willing to save this “grey water” for other purposes such as flushing the toilet or watering nearby plants. What a perfect, elegant solution to preserving your wastewater.